Goleta’s very own 24th Annual Lemon Festival was hosted this past weekend at Girsch Park, bringing together the community through great food, games, live entertainment, and participation of local businesses. Goleta Valley’s celebration of all things lemon was not limited to sweet and sour goodies, including lemon bars, lemon beer, and lemon cotton candy, but mouthwatering meat treats such as the enormous Portuguese Hawaiian sausage and deliciously messy BBQ Ribs. Live entertainment herded in a wide variety of people; including those dancing below the stage as others enjoyed the performances from lawn chairs and picnic blankets with some freshly squeezed, iced lemonades in their hands. 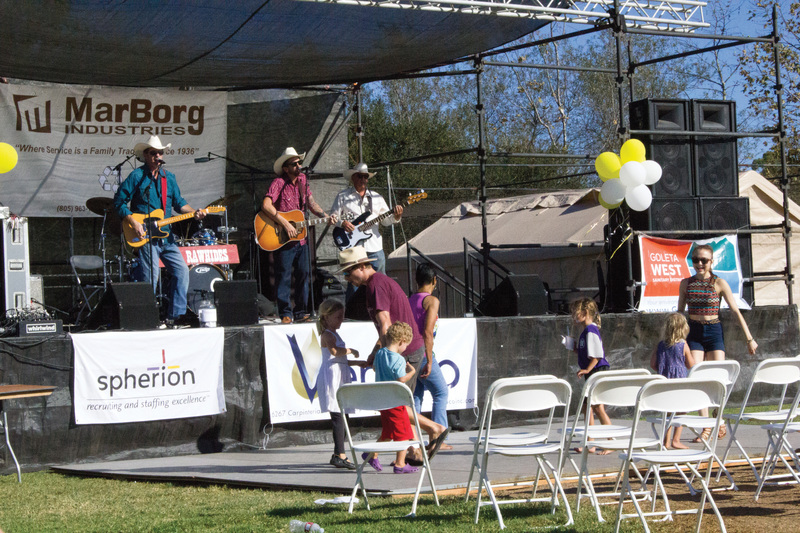 Community involvement through volunteer work played a major role in the Lemon Festival’s success. The cotton candy booth set by the Goleta Teen of the Year Program was run by Emma Inglehart and Jenny Jang, who volunteered hours on a beautiful Sunday to help make their community a better place. Family businesses featured their products. The Mowry family in particular represented Mr. M’s Woodshop, which featured excellent hand crafted wood products, while Mrs. M’s Handmade included all-natural skin care products. The Goleta Sanitary District enthusiastically represented their cause, “Protecting Public Health and the Environment,” by sharing valuable information about our water systems and how they take care of our community. Moreover, they invite you to further your knowledge on what they do to keep our water clean at their Fall Festival on October 24, 10 AM – 3 PM at 1 William Moffett Place, Goleta west off Highway 217. The Lemon Festival was a great opportunity for both locals and students new to the area to immerse themselves in Goleta’s traditions.